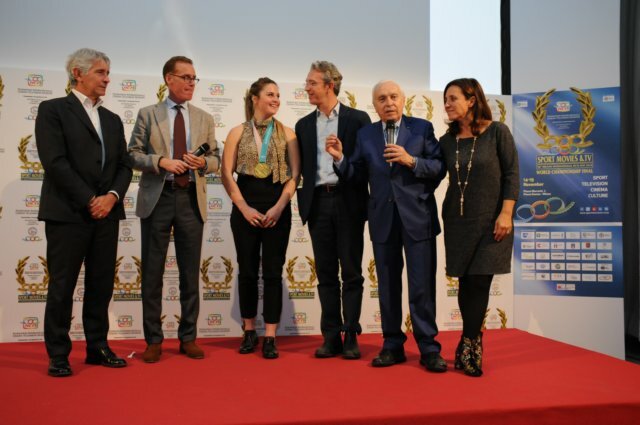 FICTS – Fédération Internationale Cinéma Télévision Sportifs (116 Member Countries – chaired by Prof. Franco Ascani, IOC Member of Commission for Culture and the Olympic Heritage) recognized by the IOC – International Olympic Committee for which it promotes the values ​​of sport through footages, organized, in 2018, the seventh edition of the “TV SPORT EMOTIONS AWARD”, assigned by FICTS as “Federation of Television and Sport Image on Screen” (meeting point for the 1.725 ​​TV Sports Channels) on the occasion of “SPORT MOVIES & TV 2018 – 36th MILANO INTERNATIONAL FICTS FEST” Worldwide Final of 16 Festival (in the 5 Continents) held in the center of Milano. The Olympic Channel (Spain), over-the-top Internet television service launched on August to support the goal of the International Olympic Committee (defined in the 2020 Olympic Agenda) with the aims to maintain year-round interest in the Olympic movement, by showcasing Olympic athletes and competitions outside of the Games proper, has been awarded as “Sports Television Channel of the Year”. 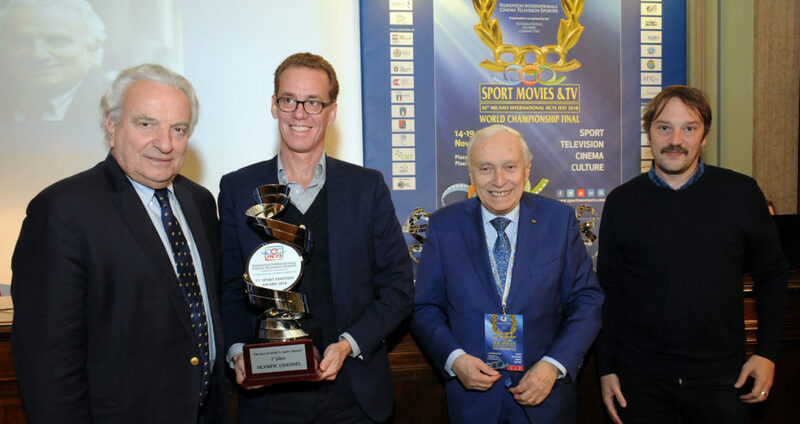 The prestigious award was withdrawn by Dr. Francesco Ricci Bitti V. President of the Olympic Channel. In the same category, there were received the prizes: the German public broadcaster Deutsche Welle and the Serbian TV Public Service Media, Radio-Television of Vojvodina. In the category “Spirit and sport values of a television program”, the award was given to the Swedish State television company SVT – Sveriges Television. Other awards went to: Japanese public broadcasting service NHK – Japan Broadcasting Corporation, Russian State broadcaster RTR TV Channel and Czech State TV Czech Television. In the “Audience Award 2018” category, for media coverage of the FIFA World Cup Russia 2018, the award – withdrawn by the Chairman Dr. Fedele Confalonieri – went to the Mediaset Group (Italy). At the Festival, the Olympic Channel also submitted two productions. “The People’s Fighters: Teofilo Stevenson and the Legend of Cuban Boxing” on the success of Cuban boxing. At the projection attended Nino Benvenuti, Olympic champion boxer in 1960 and the sons of Alessandro Mazzinghi World and European middleweight junior champion awarded with the “Guirlande d’Honnuer”. The documentary “Against all odds – Michela Moioli”, the skateboarder’s career from the injury to the Olympic gold medal, was shown, in absolute premiere, by Dr Federico De Mojana (Head of Programming of Olympic Channel) at the presence of the champion Michela Moioli and of Prof. Marco Bussetti Italian Minister of Education, University and Research, on the occasion of the award of the “Trofei di Milano 2018 – Education culture and sport for young people” (organized by FICTS Italia in collaboration with AICS) the inter-school athletics championships and training activities to which joined 46.000 young people from the schools of Milan. Both the videos have been awarded with the “Guirlande d’Honnuer” in the “Olympic Game – Olympic Spirit” section in “Sport Movies & Tv 2018”.